Being one of the oldest clubs in East Anglia, the KLCC was formed in 1931 and has a very long and successful history. We are an inclusive club which aim to promote the amateur sport of cycling in King’s Lynn and West Norfolk. We provide a pathway for development both internally and externally so that everyone interested in this fantastic pastime is catered for. Membership of the Club is open to anyone interested in the sport on application. As at March 2017 we have around 100 members. The range and diversity is such that we have members just starting out to ones who compete regularly nationwide. We are always looking for new members to share this passion of ours. We have regular meetings throughout the year which can be found on our events page. If you are interested in joining us for any event you will be made most welcome and are suggested to contact one of our organisers. KLCC are affiliated to two major bodies of UK cycling. These being British Cycling (BC) & Cycling Time Trials (CTT). We also have affiliation to the Youth Hostel Association (YHA). Brief details are shown below what each of these organisations offer you as a KLCC member. This is full of incentives to everyone regardless of membership type. Upon application of a race license our members can compete in British Cycling sanctioned events. Road racing and track events being most popular. You will receive discounts from many cycling shops and events. Club members are insured from third party claims. We are affiliated with Cycling Time Trials (CTT) and run weekly events from April to the end of August. All members of affiliated clubs can take part. As these take place on the public highway, KLCC take every precaution required to ensure a safe environment for both riders and officials. There are also a large number of events being ran up and down the country. Many of our members are riding and competing in Mountain Bike Events locally and Nationally. KLCC have been granted use of Shouldham Warren for racing and training. This has to date proved to be very successful and offers a great deal of variety to all abilities and ages. 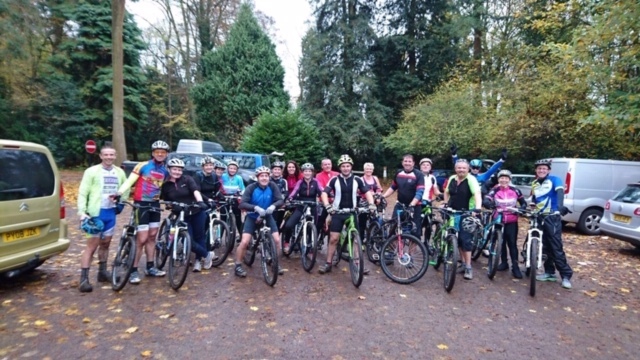 These are a great way of getting some good quality group rides out and exploring the local area. Every Thursday and Sunday throughout the year we meet up and split into groups starting out from Bawsey (Sandboy pub). This year has proved extremely successful with numbers reaching into 30 plus. Once split our ride leaders will take you around a pre determined route and on a Sunday we incorporate a cafe stop. Cycle Touring is a great way to spend a day/weekend out or even making a holiday of it. The KLCC is affiliated with the Youth Hosting Association (YHA) and we try to run two weekend trips away each year. In 2012 a group rode from St Davids in Wales to Lowestoft. Covering 400 miles in 4 days. This was done as a charity event and raised well over £3000. Cheques made payable to : Kings Lynn Cycling Club. You can register up to two adults per application. Please note that new members may not be able to obtain the current CTT Handbook, as these need to be ordered, in November of the previous year, for the oncoming season.